Agrivite Baby Chick Flint Grit is a non-soluble grit that once eaten sits in the chick's crop and aids the digestion of food by breaking it down. 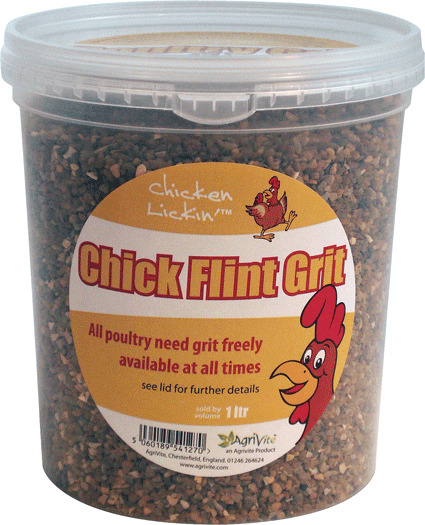 It is a very fine grade of flint grit which is suited to baby chicks and growers. Below are some recent questions we've received regarding Agrivite Baby Chick Flint Grit Poultry Grit, including answers from our team. Does this chick grit have oyster shell in it? I've read that the extra calcium, though great for growers/layers, is not good for young chicks. The chick flint grit is purely flint grit and contains no oystershell.